Azure BizTalk Services bridges the communication between disparate cloud and on-premises applications to process and transform messages using Azure artifacts such as Blob storage, Bus queues. It helps in configuring rich messaging endpoints enabling business-to-business messaging using EDIFACT, EDI, and AS2. 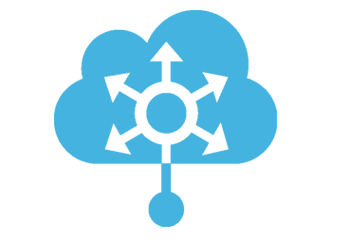 This service also facilitates a convenient way of establishing hybrid connection between cloud services such as Azure App Services, and on-premises resources. Enterprises are using BizTalk Services in building business solutions such as user content management, B2B interactions, supply chain visibility, and payment processing. We are helping businesses in integration of cloud to line-of-business applications for Oracle EBS, PeopleSoft, SQL Server & SAP and on-premises applications. 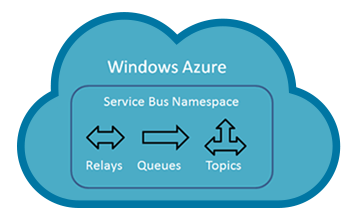 Azure Service Bus simplifies the process of distributing data between decoupled systems, and helps in connecting any device, application or service. This service processes the queue items in FIFO order and ensures the smooth functioning of applications under fluctuating load to survive unpredictable failures. It provides the capabilities of performing Brokered and Relay messaging asynchronously between the cloud and on-premises applications. Enterprises are constructing scalable and reliable applications considering this Platform as a Service as a keystone. We are leveraging this multi-tenant Azure service in complex message management workflows to reach millions of devices with minimal response time. A leading online payment gateway service provider migrates its traditional Legacy IT Infrastructure to a more scalable & secure Azure IaaS Environment and gains 99.95% system uptime & zero data loss.